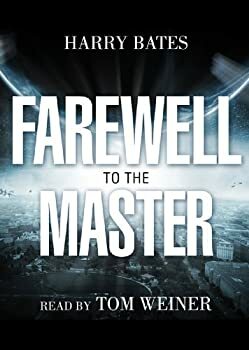 Farewell to the Master is the short story that forms the premise of the popular 1951 (remade in 2008) science fiction movie The Day the Earth Stood Still, in which an alien and his robot visit Earth to warn humans that their atomic weapons and violent tendencies will not be tolerated by the rest of the galaxy. Earth can get in line with peaceful galactic ideology, or be destroyed. The Day the Earth Stood Still and Other Classic SF Novellas — BALROG AWARD WINNER’S SCIENCE FANTASY CLASSIC! Were the alien and his robot here to help or hinder humankind? Find out the surprising answer in the original story that inspired the classic 1951 science fiction movie The Day the Earth Stood Still. Here is a must-read for any science fiction lover, for, as the Encyclopedia of Science Fiction says, “the film lost the story’s ironic ending.” Discover for yourself what Hollywood left out in this first-ever collection of the best work of the legendary 1930s idea man, Harry Bates (1900-1981). Rounding out this collection of sophisticated plays-on-ideas that stood traditional science fiction on its head are “A Matter of Size” and “Alas, All Thinking” (1935). These three short novels, which the Encyclopedia calls his most “notable stories,” have never before been gathered in one book. Bates’ “The Day the Earth Stood Still” (1940 under the title, “Farewell to the Master”), with its poignant, haunting last line, would posthumously bring him the coveted Balrog Award (1983). When you have read it, you will understand why long-time science fiction fans rank it and its creator, Harry Bates, among the greats.